Monday's PlayStation State of Play presentation kicked off with a little something special for fans of Marvel's Avengers. Players were treated to a quick view of Tony Stark's private jet before he was suddenly called into action by a sudden attack. With Stark's jet fully falling apart, the billionare calls upon his AI assistant Friday to summon his Iron Man suit. 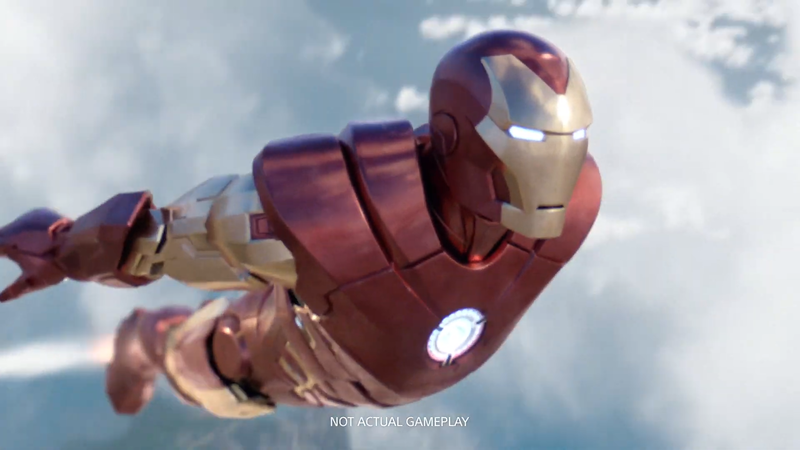 Players then proceed to take flight, with the full Iron Man-style user interface on display. That includes repulsors on each hand and Iron Man's signature Unibeam. Players can fire off their repulsors with each hand, as obstacles come from all sides. All of this is a setup for Marvel's Iron Man VR, a special VR experience from developer Camouflaj that's set to release for the PlayStation VR peripheral sometime in 2019. Information was posted to PlayStation.Blog following the State of Play presentation. And from the looks of it, it looks to be far more than just a limited experience where Iron Man gets to fly around and save a few people. This looks to be a full-blown campaign. "In Marvel’s Iron Man VR the player, who plays as the genius inventor Tony Stark, confronts ghosts from his past—powerful forces who seek to ruin him and everything he stands for," Director Ryan Payton says in the blog post. "By fully embracing the magic of PlayStation VR, players will come face-to-face with iconic allies and Super Villains as they jet around the globe on a heroic mission to save not only Stark Industries, but the world itself. We cannot wait to share more about how we are telling an original Iron Man story in a way that only virtual reality allows." The full Iron Man experience looks to be on display here, from Tony Stark's coloful quips all the way to the variety of Iron Man suits that the Armored Avenger dons over the course of his adventures. There's more information on Iron Man VR on the horizon, so keep an eye out on more information to come from developer Camouflaj, publisher Marvel Games, or the folks at PlayStation sometime in the near future. Iron Man VR will arrive on PlayStation VR later this year.